Ready for your chance to win a Planet Wise Snack Pack? Included in the pack is 1 Window Bag, 1 Snack Wrap and 1 Snack Bag! We will post our winner on Wednesday, February 2nd. Place an order at nickisdiapers.com, myswimbaby.com or clothdiaperclearance.com between 1-28-11 and 2-1-11. Include your order number in your entry. 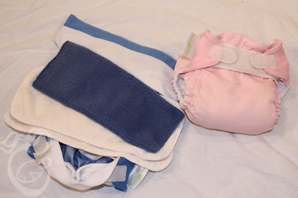 Many parents are intimidated at the thought of using cloth diapers overnight. However, Cloth at night is not that different from cloth during the day. The key is to make sure there is enough absorbency to last the night. Cloth diapering at night can be quite the adventure as you search for the perfect diaper and cover combination that will leave your baby happy and dry after a full night, the bed staying dry it just an added bonus! At first I had rough time with night time diapering of my twins. They are both very heavy wetters and would soak through to the bed in a prefold with a cover. Quickly I discovered that doubling the prefold and adding a fleece liner and a Flip cover worked awesome at night. From there I found that Bum Genius with both inserts or a bamboo fitted diaper with a wool cover would also do the trick! Diapers made specifically for night time tend to be more absorbent & more than likely they will be a bit bulkier than your average daytime diaper. Pocket diapers such as BumGenius can be great for nights because the absorbency is easily customized for your baby's needs. You can use additional micro inserts to help boost absorbency even more. 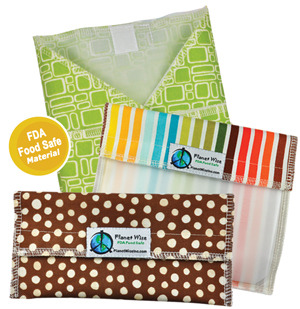 The fleece interior lining of Pocket Diapers are great at helping wick moisture away from your baby's skin. My babies skin is always soft and dry in the morning, not clammy at all. Using a Prefold diaper will not usually be enough to last an entire night if your baby is a heavy wetter or frequently nurses through the night. However, if you layer in a micro insert and a fleece liner or two this will add absorbency. For a fitted adding an additional micro liner or a fleece doubler will do the trick as well! The fleece-topped doubler wicks moisture away from my babies skin and leaves them feeling more dry. Double diapering? Well it is what it sounds like:) You simply place one prefold diaper inside another to help absorb moisture..I've got some funny looks when I have talked about using two prefolds with a snappi and a cover. It might be a little bulky but it has worked great for 3 years and 3 children. If you want to stick to Prefolds or Fitteds at night, then the next step would be the cover. The most popular covers in our house are wool soakers. When it is cold weather I tend to stick with my Knit Wool longies. Regardless of the cloth diaper style you selected, consider fleece or wool when picking a diaper cover. A wool soaker can absorb more than one third of their weight in moisture and are water resistant while remaining breathable. They fit fantastic over most cloth diapers, helping keep baby dry in whatever cloth diapering system you choose. Fleece is really great as well, however you may find a wool soaker is better for your baby, with its natural wetness protection. Plus you can get a scented wool wash and/or lanolin, so when the wool gets wet, my twins smell like Cotton candy! Other than wool, I have found that Bummis Super Brite Covers, and Flip Covers work fantastic! 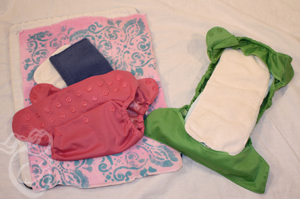 However, when I use a Bummis or a Flip I always double the prefolds or add an extra liner in a fitted diaper. I would like to add that not every system will work for every baby. It can depend on how heavy your baby wets through the night, and if you want to change them during the night. As your baby gets older, your night time diapering routine might end up changing. Night time diapering is an ongoing process, but with a clear understanding of your options, there is no need to be afraid! Wool is an amazing fiber. It is absorbent, insulating, and breathable. 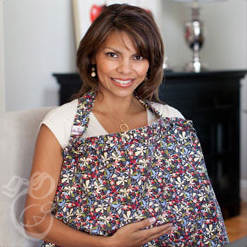 These characteristics make it an excellent choice for a diaper cover over prefolds, fitteds, contours, or even other covered diapers as an emergency back-up. Microscopically, wool fibers consist of overlapping scales (cuticles) that make liquid repel. They are covered with a thin layer of natural oil called lanolin that further causes droplets to slide off. The difference between wool's water repulsion and many other materials that repel water is the air flow. Air still moves through wool and keeps skin feeling dry and temperature-regulated. Wool fibers, beneath the water-repellent outer layer, contain a highly porous and absorbent core. Thus wool can both repel and absorb water simultaneously. It is worth noting that wool covers will 'compression wick' -- if the cover is saturated and baby sits/lies on it you may feel dampness. The thickness of the wool and the absorbency of the diaper, along with changing frequently will all help to avoid compression wicking. Wool cannot contain a true leak (such as over underwear) if there is too much volume. Wool is only as effective as the diaper underneath it -- but the combination of waterproofness, absorbency, and breathability make it an excellent choice for a cloth diaper cover. I find using wool overnight to be the best possible solution for keeping my boys dry and keeping their skin cool to avoid diaper rash. Washing wool is different than washing the rest of your cloth diapers. Wool covers need to be handwashed in a wool wash containing lanolin. They should not be put through a dryer as they will felt and possibly shrink or lose stretch. The bonus of wool, however, is that it is antimicrobial and can go for up to two weeks of use (as long as no poo gets on it) between washing. 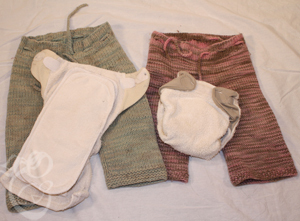 Nicki's Diapers carries several excellent wool diaper covers and wool washes. I personally love the Aristocrats soakers, and find mine to be absolutely bulletproof for nighttime use over a hemp or bamboo fitted. Please contact us at media@nickisdiapers.com with your address. You have 7 days to claim your prize. 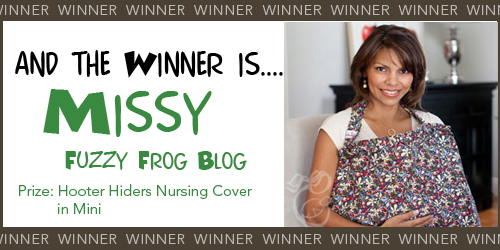 Ready for your chance to win a Hooter Hiders Nursing Cover in Mini? There are a few ways you can enter. You can do each one of the entries however you must post back here to our blog and tell us WHAT you did. Be sure you follow the Nicki’s Diapers blog - publicly for your chance to win! We will post our winner on Wednesday, January 12th. Place an order at nickisdiapers.com, myswimbaby.com or clothdiaperclearance.com between 1-4-11 and 1-11-11. Include your order number in your entry. We're doing our Spring Cleaning early here at Nicki's Diapers! Find the lowest prices on some of your favorite products! Our loss is your gain! These items will go fast at these prices to get them while you can!